So apparently the budget for the 2012 smackdown is huge? The suspense is terrible; I hope it will last. 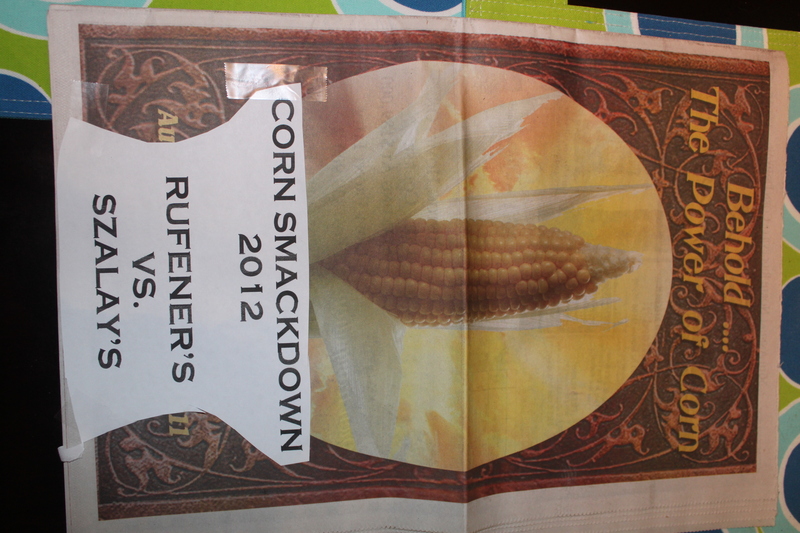 This entry was posted in Dinner, General and tagged corn, Rufener's, Szalay's on August 13, 2011 by neepandtattie. That couldn’t be a tell-tale piece of scotch tape that I see, could it? Elyse, does Chris have too much time on his hands, because he could always help either one of us get our classrooms ready, right?